Technology played a crucial role in revolutionizing the world. Every day a huge number of technological products are launched in the market. Due to the rapidly growing nature of the tech industry, it is necessary to stay updated for an individual. It can do a lot of wonders in keeping pace with this fast-changing world. So we are providing you the list of 10 Best Tech Websites To Stay Updated in 2018 version. This website is considered as one of the most popular and well known websites for providing quality information. It also offers the reviews related to new gadgets and technology news. It is also one of the leading tech blog and media on the internet. Every single piece of information such as Services, Events, and product launches are covered exclusively. With more than 7 million monthly visits, this website comes second in our list. It provides the latest news on games, apps, software, and product launches basically covering every part of tech industry in one website. Not only this they also showcase some of the most advanced generation gadgets by providing their specs and functioning abilities. Wired.com is mainly dealing with extensive coverage of technical news and reports. This is the reason why this website stands out. It covers all the future trends of technology in so much detail that you might end up visiting it numerous times a day. News related to the latest devices and security is also packed in it. This website is mainly loved for its miscellaneous collection of videos and podcasts on technology. It reviews all the latest gadgets such as mobile, laptops, home theatres and much more. “How to Tab” is its one of the most amazing features which must be tried once. You can get more information by visiting this website. The link is provided in the name just click it. The first crush of gadget lovers is gizmodo.com. They visit this website several times a day as it provides the best guide for gadgets. All the latest gadget launches including Smartphone’s, laptops, Cameras, iPhone, etc. are discussed here. Now it also offers the latest news on android, ios, mac os and windows operating system and much more. If you are really a tech geek then you must have visited this popular website once in life. This website has a big name in the tech industry and also has millions of visitors each day. It covers a wide range of news on tech products from Apple, Microsoft, Google, security etc. The video section on this website is loved and appreciated by all. I also personally recommend this as I visit this website numerous times a day. Gadgets Now is one of the globe’s most-read website according to The Times of India. They cover everything and anything related to tech news, reviews, launches, trends and much more. How-to’s are also offered by Gadgets Now. For example: How to post multiple photos on Instagram, how to set up Wi-Fi router in your home, step-by-step guide to make the switch from Android smartphone to iPhone and vice-versa and lots more. This is also personally recommended among all. Business Insider is the rapidly grown technology news related website where it covers tech, financial, media and other verticals of the industry. This website also receives heavy traffic every day. Many successful entrepreneurs also read articles here and share their knowledge on twitter. You will find very valuable stuff here which can enhance your life many times. This website has a unique feature of rating tablets and mobiles. The rating is done after a detailed research and the results are thus very helpful when it comes to choosing the best. Most of the people visit this website just before they purchase any gadget as the chances are very high that TechRadar provided a detailed review on that device. It also provides the latest news on operating systems such as android and ios. The availability of the latest apps and their features is also discussed in details. As you can guess by its name this website is all about Digital trends. It provides an extensive information on a wide range of products. The website covers breaking news for cellphones, gaming devices, computers, laptops and lifestyle products. The information is available in a straightforward form which means you don’t have to struggle much. 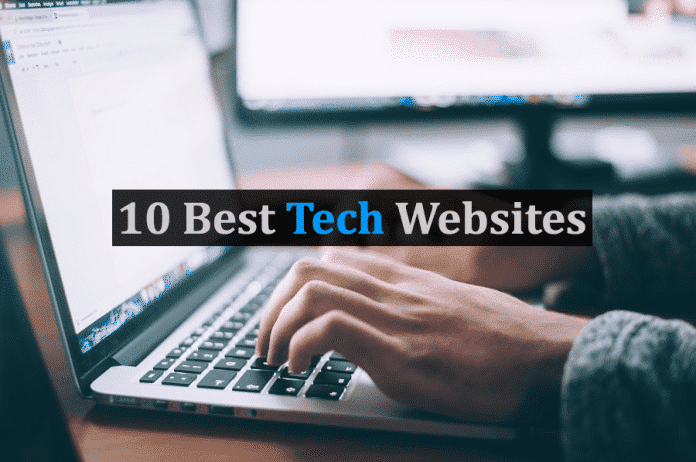 So these were some of the 10 Best Tech Websites To Stay Updated in 2018. If you have any other recommendation let us know in the comment section below.